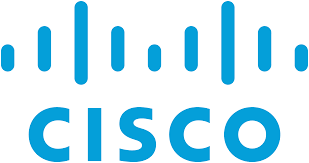 Work for Cisco Small Business Wireless? Learning about Cisco Small Business Wireless? The equipment is reliable and works well. There are lots of ways to expand their service offerings you get. They have so many options and things that you can get pretty much whatever you need from Cisco. They are very reputable and scale-able as well. Their processes are very regimented because they are a huge company so there's a lot of corporate red tape in dealing with their support, sales, etc. It can be costly too. You need to use their equipment so if you have other stuff you already own, you most likely have to replace it. The service to add push notifications to your customers is great for retail stores! Providing wireless access to our employees as well as public partitioned access to our customers as well. We can use the AP's to collect data about our customers, push notifications to their cell phones etc. and we feel confident that our wireless access is secure. The connection is strong and stable. * We monitor all Cisco Small Business Wireless reviews to prevent fraudulent reviews and keep review quality high. We do not post reviews by company employees or direct competitors. Validated reviews require the user to submit a screenshot of the product containing their user ID, in order to verify a user is an actual user of the product. Hi there! Are you looking to implement a solution like Cisco Small Business Wireless?